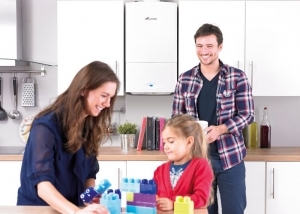 Begin reducing your energy monthly bills today with an energy efficient brand new gas boiler. If you are a UK property owner in Manchester and need a new gas boiler you might qualify for an A+ rated gas boiler that includes a 10-yrs labour and manufacturers guarantee on a boiler installation finance scheme from one of our accredited boiler installers, making it possible for you to spread the cost over 3, 5 or 10 years whichever suits you. Regular monthly payments could be as low as ₤10 – ₤20 with some of our installers providing all-in-one deals that include installation along with on-going maintenance and repairs. As certified gas boiler installers for the well known brands including Glow-worm, Viessmann, Vaillant, Baxi, Ideal, Worcester-Bosch and more, our approved installers are able to offer affordable prices for their up-to-date product lines. If you are unsure when it comes to the sort of gas boiler to select? 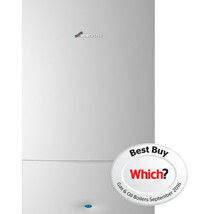 Or are you Worried when it comes to the cost of getting a new gas boiler? Well our accredited boiler installers, are here to assist you. Our speedy gas boiler installation and gas boiler replacement services also include all of the help that you require, by fully qualified gas engineers with years of boiler installation experience. They’ll ask you a few short questions about your lifestyle and home, carry out an absolutely free home review and recommend the best gas boiler to match both your requirements and finances. Homeowners in Manchester, and all over the Greater Manchester area are able to choose a brand-new gas boiler fitting with one of our accredited boiler installers and their adjustable gas boilerinstallation finance package deals help make payments achievable for everyone.